There were about 2 cups of leftover chickpeas in the refrigerator from the day I made Chana Masala. 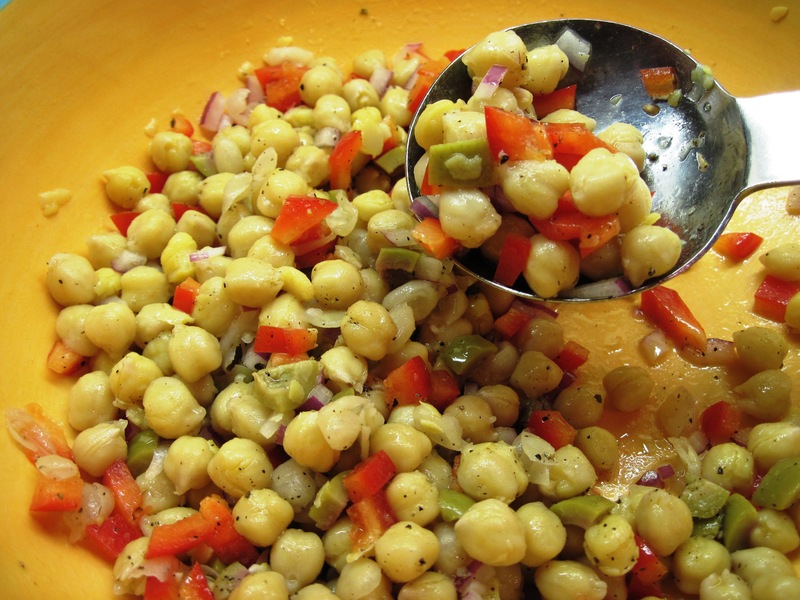 They seemed perfect for a chickpea salad! You could use a can of chickpeas, but it really is better with ones that you cook. I happened to have some marinated green olives, so I used those. You could use any kind of olives in this salad. Mix all of the salad ingredients with the olive oil and lemon juice. Season to taste with salt and pepper.